​It is always a joy to witness an evolving musical talent. Jazz artist Kristina Koller has developed quickly into a highly individual vocalist & songwriter. 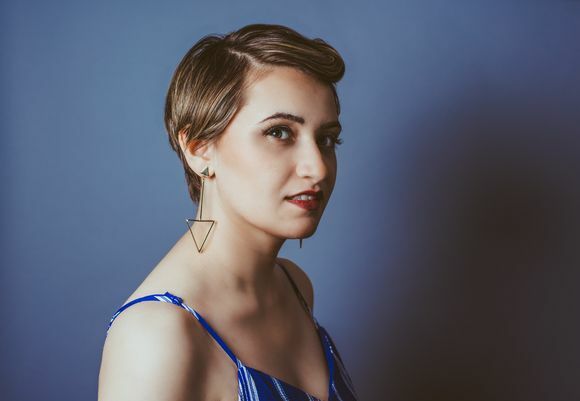 With the release of her debut album 'Perception', Kristina has established herself as one of the most exciting young voices in jazz. As a composer, Kristina melds diverse genres of music into her songs. While embracing standards and straight ahead jazz, Kristina arranges tunes in unique ways, knowing that adding to the legacy of jazz is much more important than recreating the performances of others. She reinvents classic material while retaining their essence, putting her own winning personality and fresh ideas into the lyrics that she interprets.